Looks like Gully Boy is not the only thing that released on Valentine's Day. 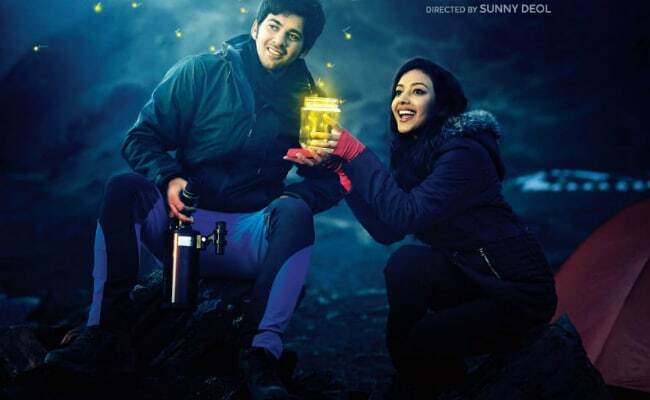 The first poster of Pal Pal Dil Ke Paas, Sunny Deol's son Karan Deol's Bollywood debut, also took the Internet by storm. Sunny Deol, who introduced the first looks of Karan Deol and his co-star Sahher Bambba from the film on social media, wrote on Instagram that his mixed feelings about launching his son are all about being nervous" and "proud". His heartfelt note for Karan Deol on Instagram read: "As a father I am nervous at the same time I am proud to present my sons first poster. Today Karan begins his cinematic journey, wishing him love, luck and success." In the poster, Karan and Sahher can be seen sharing a loved-up moment. Sharing another poster, Sunny Deol described Pal Pal Dil Ke Paas as a story of romance filled with adventures: "An adventurous love story filled with magical moments. Get ready for a story which will be forever etched in your heart." Sunny Deol's half-sister actress Esha Deol also showered Karan with blessings for his Bollywood debut. Last year, Sunny Deol spoke to news agency PTI and said that he may be launching Karan in Bollywood but how he how he shapes his career should be up to him: "When I came in the industry was I mentally prepared? I am sure he is coming in his own way the way I came in. Rest is up to him - how he portrays himself, the subjects he chooses, how he does the job and that is all up to him." When Karan Deol was introduced as an aspiring actor in 2017, he received a warm welcome from Bollywood with stars such as Salman Khan, Shah Rukh Khan, Rishi Kapoor and others sending him best wishes on Twitter. Even Dharmendra could barely control his excitement about his grandson's Bollywood debut, who told IANS: "He has confidence and I want him to fly with his confidence. I wish he gets successful in his career and life." Pal Pal Dil Ke Paas marks Sunny Deol's first collaboration with Zee Studios after a hiatus of 18 years, when Gadar released. It is also Sunny Deol's third movie as a director. Produced by Zee Studios and Sunny Sounds Pvt Ltd, Pal Pal Dil Ke Paas is expected to hit screens on July 19, 2019.